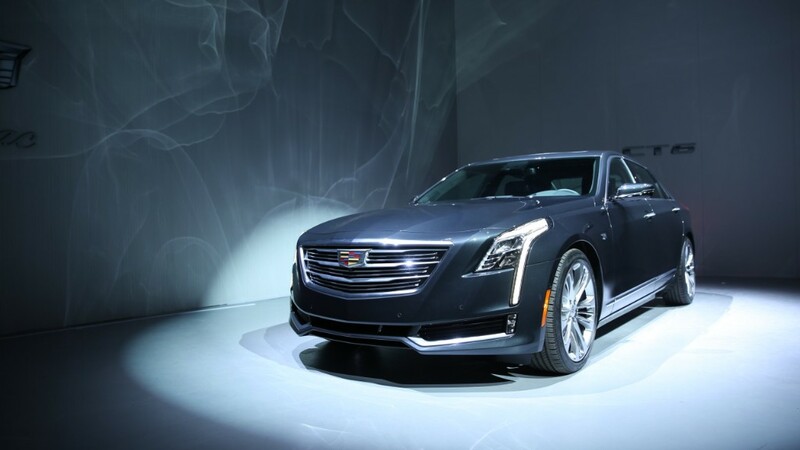 Cadillac's new CT6 full-sized flagship sedan, unveiled Tuesday night before the New York International Auto Show, has a new security feature that takes photos of everything around the car whenever the alarm system is set off. The technology relies on the same cameras used to help with parking the big car. They're also attached to security sensors so if the car is moved or any window glass is broken, which would set off the alarm, a series of photos is taken all around the car. The images are stored within the car and can be accessed later using a memory card. The CT6 is a full-sized rear-wheel-drive luxury sedan. In engineering the CT6 General Motors emphasized weight savings. The car is built largely from aluminum but, in all, 11 different metals are used in its construction. That's because, according to GM, various types of steel can save more weight than aluminum in places where strength and stiffness are required. Despite its size, the CT6 is almost exactly the same weight as the smaller mid-sized Cadillac CTS sedan. Thanks in part to the car's light weight, GM is promising a more dynamic and responsive driving feel than other big luxury sedans. "It is a bold endeavor with unmatched dynamism that reignites a passion for driving in large luxury vehicles," Johan de Nysschen, president of Cadillac, said in an interview. It also makes it possible for the car to use smaller, more fuel-efficient engines. When the car first goes on sale, the most powerful available engine will be a 400-horsepower turbocharged V6. It will also be available with a non-turbocharged V6 and a turbocharged 4-cylinder engine, a type of engine not used in other cars this size. The CT6 will also be available with a host of technology features besides just the security cameras. Drivers can also record front and rear views of the road while driving. A night vision system will help to identify people and large animals while driving in the dark and even brake automatically to avoid them. 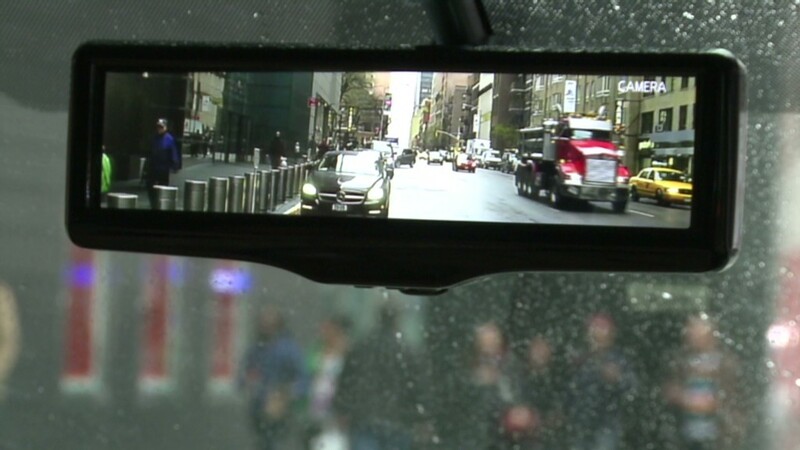 The inside rear view mirror can also display a view created by cameras outside the car enabling the driver to see the entire area behind the car as if the back of the car were invisible. It will be available with all-wheel-drive and will also offer all-wheel-steering in which the rear wheels turn slightly to assist in tight maneuvers. Also at the New York Auto Show, Cadillac's domestic rival, Ford's (F) Lincoln Motor Co., unveiled a new version of the Lincoln Continental, its own full-size flagship car. Although it is still a concept vehicle, Lincoln expects to sell a car very much like it next year. 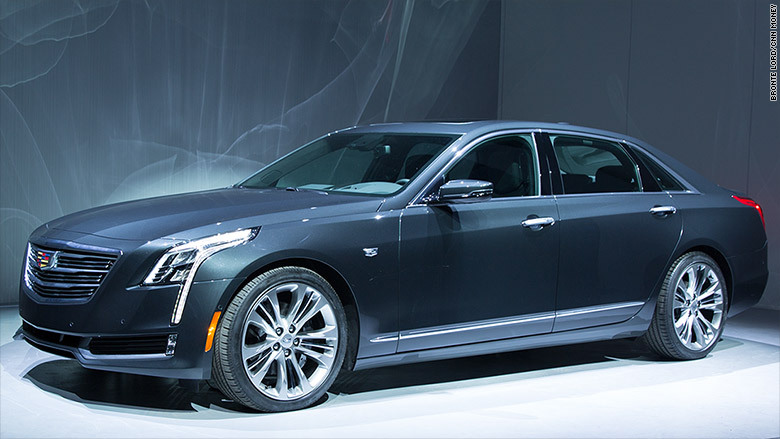 The CT6 will go into production in late 2015.